The 2011 mother-of-the-year didn't have a great start this morning. I (Fred) got locked out of my car at 6:30 in the morning while 45 minutes away from home and trying to get her the best cake in the world (as a surprise). I got the cake but I also got home at 9:15 (instead of 7:15 so I could get the kids ready and she could sleep in - I always take the day off work on her birthday). Her day should get better after a 4-hour spa treatment and with the arrival of her mom this afternoon. Thank you to everybody for your suggestions and comments on my "ouch" post. When I took off Elise's last sensor, the skin surrounding insertion site was obviously infected, so we are definitely going to have to try something. 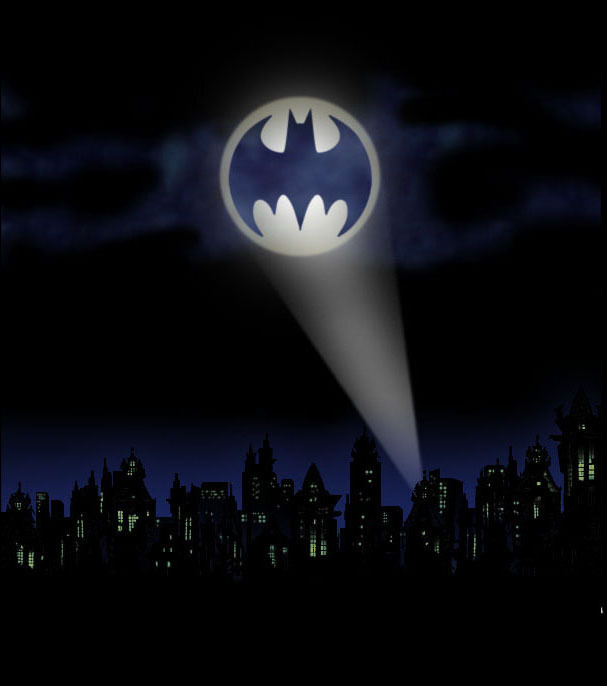 I have a call into our endo to see if I can snag some samples of the products that were suggested. I just don't want to go out and spend a bunch of money on something without knowing if it will work. Elise has been such a trooper and even agreed to trying a bum site (after I told her she could have a surprise from my stash of toys bought at Target for 75% off). We've been seeing a wide variance between CGM and meter, but the sensor doesn't seem to be be bugging her too much. I just hate that such an integral tool for us is causing Elise so much misery. Hopefully, one of the many suggestions will do the trick. And If anyone else is having similar issues, Jessica (thanks Jess!) dug up an old post by Lorraine from This is Caleb for me. Click here to see some of her suggestions. And... just a reminder that tonight is our big fundraiser at Chick-fil-a! Come out between the hours of 5 - 8 pm, and CFA is donating a percentage of the sales to Team Elise. If you live in the metroplex, please come out and Eat Mor Chickin with us! Click here for the address. I'm sending out the bat signal once again to the DOC. I'm at a loss with what to do with the dexcom. The sensor is causing terrible rashes on Elise's arms and legs. She is so itchy while she's wearing the sensor, and the rash remains as long as almost two weeks after we remove it. We're pretty much at the end of the road with where we can put it. She has a rash on every site we use. I've asked her about using her bum, but she's not so enthusiastic about it. I know I could push the issue, but from what I've read, most of you don't have a lot of luck with bum sites. Here's a picture of her leg... I think the sensor was removed about 12 days ago. I tried giving her a break, but it lasted 1/2 a day... her numbers are just so weird right now (plus I was too scared to go without it at night while Fred was away). But we really need her to be able to wear it when she goes back to school in about a week. I just don't feel comfortable sending my 3 year old to school without the dexcom. In fact, we will have to pull her out if she's unable to wear it. This will absolutely break her heart, she's been asking when school starts almost everyday for a month. Plus, will this be a problem when we start her on a pump? Will we have rashes and itchiness in two areas? Again, we absolutely will not put her on a pump if the same thing happens. She is so miserable and I don't know how to help her. Surely Elise is not the only one out there with sensitive skin... I'm not sure why this is a problem all of a sudden. She's worn the dexcom for over a year now. Could it be the hot weather? Anyone out the have any advice??? This Monday, August 29, from 5 to 8 PM, the Chick-fil-A in Southlake is again donating a percentage of the proceeds from your meals to Team Elise. Last year, 60 of you joined us for dinner (along with 63 kids) and we raised over $400! BTW, if you're able to and you haven't made a donation to Team Elise or registered to walk with us, just go to http://www.teamelise.com/ and click on Donate Now from any page or on Join Team Elise from the Walk page. A big thank you to Chick-fil-A Southlake for supporting Team Elise again this year! It's a number that leaves you shaken. Seeing that 3 followed by just one number. Two digit numbers that start with a 6... okay. A 5? I can handle that. Give me a four... well, it's not terrific, but I can deal. There's something about the three that terrifies me. Maybe because another time I saw a 3 and just one other number, I had to deal with an awful low. By myself. In the middle of a store. It took almost 30 minutes for Elise to come back from that one. Tonight I saw the 38 at a time when there was no way her number should have been that low. And if not for the dexcom, I would have missed it. The mere thought is horrifying. Let me explain something... Elise gets her night time shot at 8:00, followed by an uncovered, 15g snack. Her insulin starts to work about 2 hours after her shot. This low happened about 90 minutes after her shot. Only 60 minutes after she finished her snack. She should not have been that low. But this is diabetes we're talking about. It doesn't play by any set rules. The only constant with diabetes is that there is none. It makes me feel defeated. How am I supposed to hit a target that is always on the move? And when I'm blindfolded? With one arm tied behind my back? Oh my, this post is so over-due. 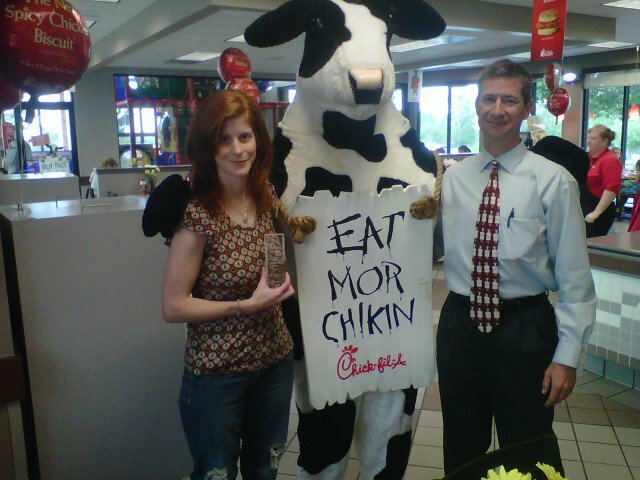 Back in May, I was awarded the Southlake Chick-fil-a Mother of the Year. It came right as we were closing on our new house, packing all our worldly belongings to be moved to said house, as well as getting ready to leave on our trip to Portugal in two days. Crazy times. I was honoured with a plaque, a dinner for 30 of my friends, and FREE Chick-fil-a for a YEAR! It was a celebration that was difficult for me. Because so often, I feel like I fail at this motherhood thing. I yell. I loose my cool. A lot of times I revert back to acting like a child. Chick-fil-a totally should have done a hidden camera thing to get the REAL truth about my Mom-skills. But one thing I do know... I am a better Mom than I ever would have been, if diabetes not came into our lives. Diabetes has taught me patience. Waiting for that BG to rise/fall. The "rule of 15s (which in our house is more like the rule of "whatever we think will work this time"). Shoving carb after carb into Elise, trying to get a stubborn BG to rise above 80. It has given me mad trouble-shooting skills. How many nights have I spent pouring over Elise's logs, looking at numbers and trying to find the answers that are hidden among them? Quite a few. And it still amazes me when I tweak something, and it works!!! I am not the type of Mom who, when her child falls and gets a minor owwie, will rush over to them with an ice pack and administer first aid while covering them in kisses. It's just not how I'm wired. I subscribe to the "it's-just-a-flesh-wound-rub-some-dirt-on-it-and-you'll-be-fine" school of thought. But diabetes has changed that in some respects. It has taught me that mercy, grace, and kindness all need to be a part of a mother's toolbox. For the times when Elise fights me at shot time. Or when she's being belligerent due to a high or low BG. So I can just hug her and let her cry when she tells me she hates diabetes and just wants to be a normal kid. These are not "rub-some-dirt-on-it" moments. But most of all, diabetes has taught me about strength. MY strength. When I just want to take the scale and throw it out the window, and the thought of poking my child one more time makes me want to cry. I dig a little deeper. On the nights where it seems we're up every hour fending off lows, and I feel like I might throw up from the exhaustion; I just keep going. During the times that Fred is out of town and it seems that those are the times that everything goes wrong at once, I keep calm and carry on (thanks Laura!). Well, I carry on... I still need to work on the keeping calm part. So while diabetes is not my favourite auto-immune disease that attacks the beta cells in the islets of Langerhans; I can say that, without a doubt, it has made me a better Mother. Thank you Chick-fil-a Southlake for the honour. And for giving me leverage in arguments with my children for many years to come. Because what the Mother of the Year says, goes! One more amazing thing I have to mention about Chick-fil-a Southlake... they have agreed to host another fundraiser for Team Elise! I'll be doing a post with all the info soon! I have a very loud, persistent inner monologue. In fact, it almost never shuts off. Lately, it's been causing me to focus my sights on Mattias. We're only a few days away from his 11th month-aversary. Which means we're just over 1 month away from him being the age that Elise was when she was diagnosed. Now LOGICALLY, I know that just because Elise has diabetes, it doesn't mean Mattias will. But I also know it doesn't mean he won't. And LOGICALLY, I know that the chances of him being diagnosed at the exact same age as Elise was, are minuscule. But I also know that it could happen. So I have a stream of consciousness, an inner monologue that almost reads like a James Joyce novel. It is peppered with "what ifs" and "but maybes". "Wow, he seems to be nursing for a long time these last few days, what if he's thirsty because of diabetes?" "But maybe he is just thirsty because it's so hot out." "Gee, Mattias has been taking long naps this week. He's also seemed so hungry too. What if I should be paying attention to these symptoms?" "But maybe he's just going through a growth spurt." "His BG check came up as 89. What if I'm not catching it at the right time?" "What if Mattias has diabetes?" "But maybe he won't ever be diagnosed and all this worry is for nothing." And so on it goes. The "what ifs" keep me dwelling on the negative. Living in fear that any day could be the day. The "but maybes" scare me too. Could I be rationalizing it too much? Could it cause me to miss something? I think I've finally come to the realization that I need to dam that stream of consciousness and shut the inner monologue up. Worrying will change nothing. Who has ever changed anything by worrying? If Mattias is to get diabetes, then no amount of fretting will change that. And besides, if it never comes to pass, how much of my time and energy was wasted on worry? Because as Doris Day once sang, "que sera, sera." It's time to stop being afraid of a future that's not mine to see.